"What you should be working on is written on the board. Remember you are to be finishing your reading assessment and then go to Mars." 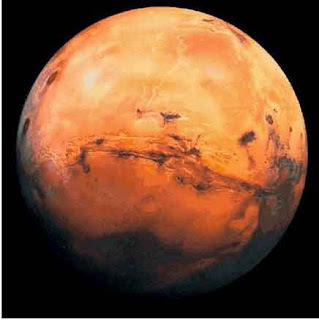 Yes, I told my class that they were to go to Mars, as in the planet, in a very serious teacher like voice. Why? You ask. Well while I consider myself to be a great multitasker perhaps I'm not as great as I think. You see, this afternoon I had planned on having the students paint planets for our solar system bulletin board. So while the class was finishing their assessments I was trying to set out their planets, paint, and brushes. In order to give each group the correct color for their planet I consulted a website. While I was trying to give instructions to the class I was also trying to read the planets names and the colors...hence the instruction for the class "to go to MARS!" We all had a great laugh...I don't know who thought it was funnier actually, me or my students! yup... been there, done that! more than I'd care to remember and it is ususally good for a laugh with and at Mrs. Ragan!